Bill Gates once wrote, “We always overestimate the change that will occur in the next two years and underestimate the change that will occur in the next ten.” And when it comes to new technologies, many folks ignore both sides of Gates’ statement, only to end up looking silly later. Having said that, let me be clear: artificial intelligence — AI — is going to radically reshape hospitality marketing and our industry at large. Forever. And the companies that use AI effectively are closer to two years away from success than ten. But to understand why AI will change hospitality marketing forever, we need a bit of context in more detail. For many of us, our first exposure to AI in the real-world came when IBM’s Watson won “Jeopardy.” That was all the way back in 2011 and the Watson-powered travel startup WayBlazer followed in 2014. That puts us at least three to six years along Bill Gates’ 2 to 10-year curve. And, as with most technology, things speed up the longer they’ve been around. AI isn’t the future. It’s happening all around you right now. For example, an insurance-industry startup called Lemonade just used AI to set a record for customer service, resolving and paying a claim mere seconds after their customer submitted that claim for consideration. According to Airnguru, Singapore Airlines is already applying AI to its marketing and customer service campaigns to improve profitability and performance. And like Singapore Air, Priceline and Expedia have both announced they’re testing AI-driven solutions to improve their customer service offerings too. None of this is science fiction. I’m not talking about the “Star Trek” computer or the ship’s android, Data, answering every possible question and solving every possible problem. Those types of AI are called “artificial general intelligence” (AGI), and are probably quite a long ways away, if they’re even possible at all. I’m talking about AI used to solve very specific problems, called “narrow” or “weak” AI. Narrow AI is real. It exists today. In addition to Lemonade and Singapore Airlines, Apple’s Siri and Amazon’s Alexa represent real-world examples of narrow AI in practice. Search. Google has begun to use AI to determine the highest-quality pages within its search results and will increasingly depend on AI when choosing “the best page” to answer customer questions, especially on voice-driven searches where the search giant can only offer one or two responses. Analytics and measurement. Data is what makes artificial intelligence, um, intelligent. Machines can’t learn without a healthy diet of data to help them understand how to answer the questions their users pose. But AI’s natural affinity for data also makes it a powerful tool to interpret that information. As I once heard Ed St.Onge from Flip.to remark, “AI makes big data little.” Sophisticated technology players are using AI to comb through massive amounts of data and gain understanding about customers and their journeys that once simply would have been impossible to discover. Guest experience/personalization. Of course, that measurement then enables better, more personalized experiences to customers. That’s what WayBlazer is working to do, using AI to simplify complicated itineraries for guests. Priceline and Expedia have each announced they’re looking to use AI to improve customer experience. And since better customer experience usually drives greater revenues, that’s something we all should care about. Pricing. Finally, pricing information represents a very particular form of data that must account for seasonality, competitive pressures, macroeconomic effects, and guest preferences, among others. Today, ill-fitting algorithms may leave money on the table or sacrifice lifetime customer value in favor of a short-term perceived “win.” Over time, AI will enable smarter algorithms that account for all the variables – as well as those we don’t even recognize as factors today – and will present improved pricing alternatives to increase property revenues in both the short and longer-term. Ensure you’re continuing to develop quality content for your property. One of the most common places you’ll encounter AI over the next few years is within search results on Google and others. As mentioned previously, Google is slowly introducing AI into its algorithm to determine the best answers in search. Over time, its AI won’t have to rely on links and keywords to determine the right answer to searchers’ questions; it will simply know. And, in this case, “the right answer” means a page with high-quality, highly-relevant content that answers guest questions effectively. Imagine asking Siri or Alexa where you should stay tonight, knowing it can only provide a single answer. Does your content help present you in the best possible light? Or does it leave your customers wanting more? If people can’t agree on the best possible answer, no machine ever will. Help make that machine’s job easier by providing all the information necessary to answer guest questions. Even better, this will help with how you perform in search today while also setting you up for the future. Ask your vendors about their plans for using AI. Airbnb, Expedia, Priceline and others are already looking at how to use AI to improve customer experience and drive more business. Your vendors need to help you compete with those experiences and deliver on guest needs. While your vendors don’t need to have fully-baked solutions today, they must prepare for the future. If AI isn’t on their radar at all they’re creating problems for their business down the road – and for yours. Stay on the lookout for potential threats from new entrants. Most hotel companies failed to recognize how new players would leverage the Internet fifteen years ago to attract, convert, and retain guests, an oversight whose effects we continue to feel today. AI represents a similar situation. While it’s far too soon to predict who will emerge as the dominant players – in the Internet era, Travelocity and Yahoo predated Expedia and Google for instance – it’s not too soon to keep an eye for who’s shaping the dialogue and direction AI will take. Pay attention to how AI continues to evolve to protect your property’s position in the longer-term. Again, it’s easy to overestimate how much change we’ll see in the next two years here. But it’s far more dangerous for your business to underestimate changes over the next ten. AI isn’t science-fiction or fantasy. It’s reality. Companies have started to use AI to connect with customers and create memorable experiences. And, ultimately, isn’t that what we’re supposed to do as hoteliers? The machines won’t win. But the people who use those machines most effectively will. And that’s a prediction that’s always been true. (And, yes… you can hire Tim to speak at your next event, too). What Digital Marketing Trends Matter? 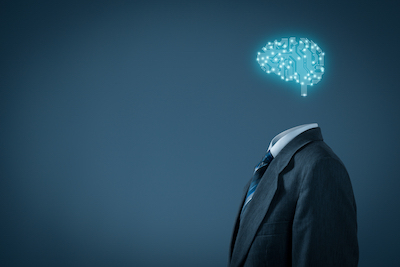 Will This Be The Year of AI in Digital Marketing? Note: A version of this post originally appeared on Hotel News Now, where Tim Peter writes a regular column for the magazine’s Digital Tech Impact Report. AI in hotels is amazing. I was looking at Level5 Travel and the information they show on both guests and staff is off the charts. You can see everything about a guest’s activity from what drinks they like to food allergies. Your statement, “Pay attention to how AI continues to evolve to protect your property’s position in the longer-term.” is soooo true, new ideas and blockchain stuff is growing at a rapid pace.